The Reserve Bank of Zimbabwe (RBZ) yesterday unveiled a raft of interventions, including enhancing nostro stabilisation facilities to support foreign payments, backed by a $1,5 billion kitty to be availed by the Afreximbank, as part of measures to accelerate economic turnaround. Zimbabwe is tying the loose ends to the $1,5 billion funding facility with the Afreximbank to provide security against potential risk of investment, in a bid to stimulate investor confidence. The funds will also be used to provide hard currency support for key external payments, such as fuel, medicines and raw materials for the manufacturing sector. 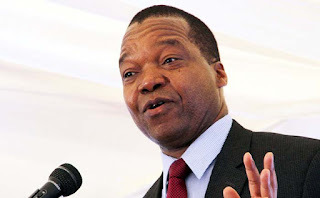 RBZ Governor Dr John Mangudya yesterday said it was critical to come up with measures that dovetail with President Mnangagwa’s aspirations for a foreign direct investment (FDI) driven economic turnaround. Presenting the 2018 Monetary Policy Statement in Harare, Dr Mangudya said the decision taken by Government to open up the economy was central to sustainable economic transformation. President Mnangagwa has consistently declared that Zimbabwe is now open for business, a message he carried to the World Economic Forum meeting in Davos, Switzerland recently. Dr Mangudya said on the back of growing impetus from renewed confidence stemming from the new political dispensation, this year would be “defining” for Zimbabwe. “The Statement (Monetary Policy) comes at a time when the economy is experiencing renewed hope and confidence ushered in by the new economic dispensation, following the formation of a new leaner Cabinet by His Excellency, the President, in November 2017,” he said. Dr Mangudya said Zimbabwe was ready and willing to embrace a paradigm shift to attract investors, both local and foreign, for the total transformation of the economy and to increase production, create jobs, exports, fiscal space, access to capital and foreign finance. Already, exports have recorded a 36 percent jump from $2,8 billion in 2016 to $3,8 billion in 2017, driven by the export incentive scheme introduced by the RBZ. Dr Mangudya said increasing production was the solution to resolving the country’s nearly two decades long economic challenges. He said that amid depressed economic activity, low exports, current account and fiscal deficits, cash and foreign currency shortages; opening up the economy to business was the most sustainable cure for the major challenges the country has been facing. Some of the measures spelt out by Dr Mangudya included retaining the multi currency regime, enhancing nostro stabilisation to facilitate foreign payments, providing investment guarantees to protect investor funds, a seven percent tax-free bonus on non-resident transferable funds, and enhanced incentive support for gold, tobacco, cotton and macadamia. The tobacco and gold support facilities would also be reviewed upwards. Tobacco was previously allocated $28 million, but the fund has been grown to $70 million, while the gold development fund has been pushed up to $150 million from $74 million. The move is aimed at boosting output. Gold, arguably the most important mineral in the country at the moment, saw deliveries to Fidelity Printers and Refiners (FPR) rising to 24,8 tonnes last year spurred by artisanal miners who contributed 53 percent to deliveries. Dr Mangudya reviewed upwards the foreign currency retention thresholds. The foreign currency retention threshold for all services and products except gold, diamonds, platinum, chrome and tobacco, remains at 100 percent of export receipts for exporters’ use in their operations within an extended period of up to 14 days from the receipt of funds. Dr Mangudya said the retention threshold for private owned diamond firms, platinum and chrome producers had been increased from 20 percent to 35 percent, while that for gold, publicly owned diamond firms and tobacco it remained as per current policy. Further, Dr Mangudya enhanced access to productive sector facilities, review downwards the cost of export documents from $50 to $20; issue tobacco and gold production financing bonds; provide incentives for Diaspora investment accounts; curb multi-pricing practices; limit lending to Government and pay seven percent incentives for the repatriation of legally externalised funds. On multi-pricing, which haunted the economy for a god part of last year, Dr Mangudya said the 2018 Finance Bill that has already gone through Parliament and now awaits approval by the Senate, will make the practice illegal. The refusal to accept plastic money, which is being done by some wholesalers and retailers, would become illegal once the Finance Bill becomes law. In terms of illegally externalised funds, which President Mnangagwa gave culprits three months to return their loot under a no-questions asked environment, Dr Mangudya said the response had been encouraging. “The response to date demonstrates the willingness by corporates and individuals to comply with these arrangements,” he said. “Already, bank deposits have been increasing on account of funds being channelled into the formal system, as corporates and individuals take heed of the amnesty to repatriate externalised funds and/or deposit funds in the banking system. The moratorium to return looted funds ends this month, and the RBZ has promised to announce the amount of money brought back. Another key measure taken by the RBZ is to convince bankers to accept 99-year leases as collateral for loans to farmers. The move is expected to capacitate farmers, mainly those who benefited from the land reform programme which started at the turn of the millennium. Government is also intensifying the re-engagement process with the international community to improve relations and to resolve the external arrears to the remaining International Financial Institutions (IFIs), as well as bilateral creditors. Zimbabwe will stick to the approved arrears clearance framework agreed on the sidelines of the World Bank and International Monetary Fund annual meetings in Peru in 2015. The debt clearance framework is commonly known as the Lima Plan. The interventions by the Bank in the foreign exchange market through nostro stabilization facilities had assisted the economy to meet the ever growing demand for foreign exchange and, in doing so, stabilised parallel market activities and sustained the financing of critical imports. Dr Mangudya said the monetary policy sought to enhance the use of the local generated RTGS funds to generate exports; improve the foreign currency market, reward exporters and reduce cost of doing export business, provide generators of forex assurances of ease of access to foreign currency and entrench foreign currency retention threshold.